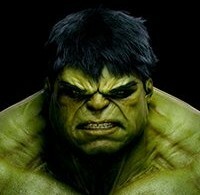 How to create a flyer – Well for some people who are not a good designer and have to do a job, AwesomeFlyer is the answer. 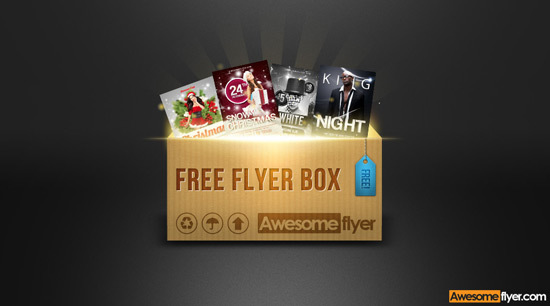 AwesomeFlyer was born in July, 2012, meant to be the best address to get club & party flyer for your personal event. We are two young graphic designers and our aim is to deliver cool unique flyers – without you having to design things on your own. 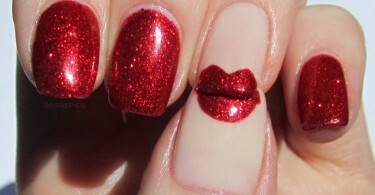 We do the design – you just enjoy and watch! No matter you’re searching single flyers for events like Christmas or New Years Eve or whole flyer template bundle! We’ll be happy to provide you with great flyer and cool freebies! 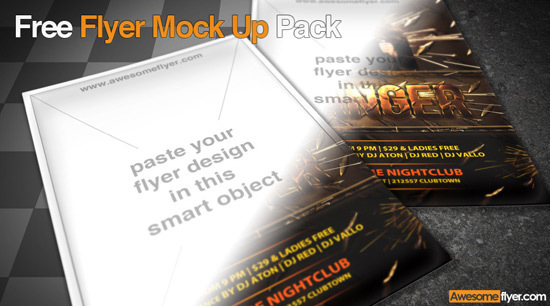 The free flyer mock up pack includes 3 high res flyer mock ups. It’s really simple to use and the psd file is fully layered. 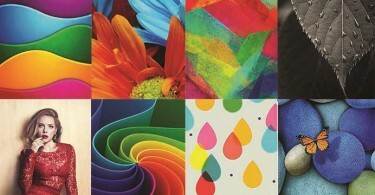 You only need to choose a flyer design and a background of your choice for a quick stunning flyer presentation preview. Perfect for different freebie and stock marrket place item previews! 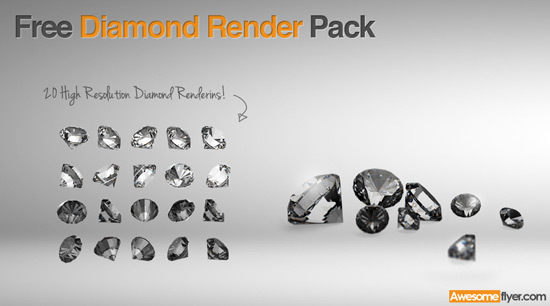 The free diamond render pack is the most downloaded item of awesomeflyer. It’s a package of 20 very high res diamond renderings in different perspectives. This package is main equipment of every flyer designer! 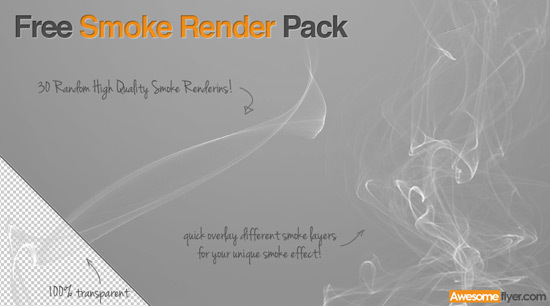 The free smoke render pack includes 30 lovely high quality random smoke renderings. The smoke is 100% transparent and you can easily add different smoke layers for a unique awesome smoke effect! 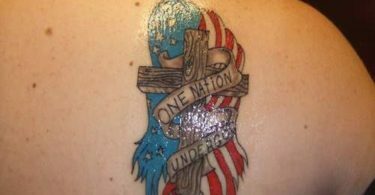 Just enjoy the preview picture! Another great freebie! 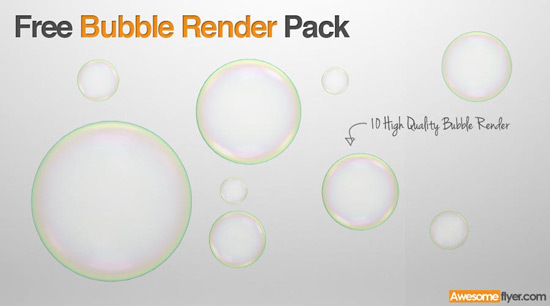 The free bubble render pack. It includes 10 different looking and transparent soap bubbles. It’s a rare freebie for free download! 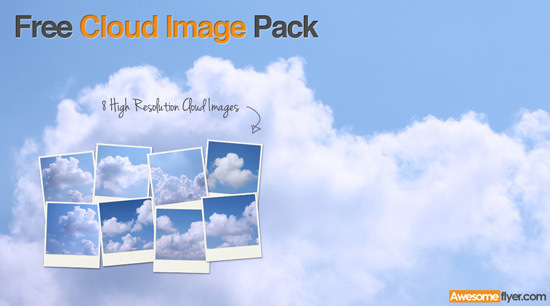 Finally another cool looking cloud image pack. You will benefit from this great free cloud image pack, which includes 8 high res different cloud photos! Free Black and White CMYK & RGB Flyer. So it includes all awesomeflyer templates in one download, but its only available on the awesomeflyer facebook page. 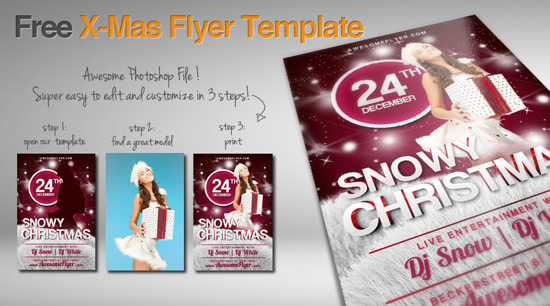 The free Christmas flyer is awesomeflyer’s most downloaded free flyer, it broke every download record! In this package you will receive a high res 300dpi RGB and a print ready CMYK file! The psd files are fully layered and easy to customize. 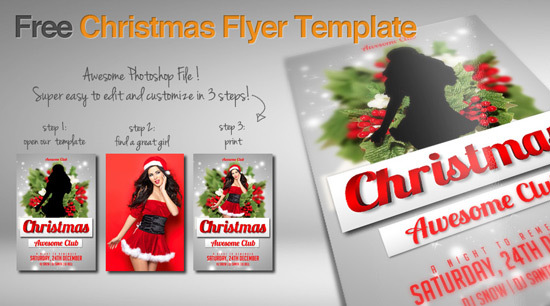 The free x-mas flyer is another free Christmas psd flyer! This package includes a high res 300dpi RGB and a print ready CMYK file! The psd files are fully layered and easy to customize. 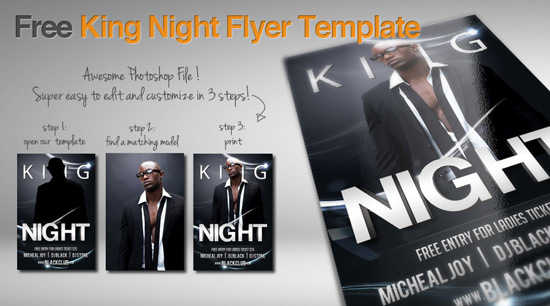 Check out the free king night template! This package includes a high res 300dpi RGB and a print ready CMYK file! The psd files are fully layered and easy to customize. 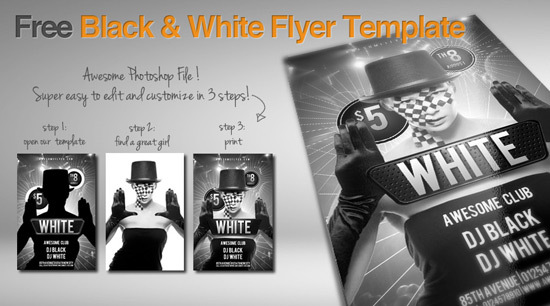 The free black and white flyer template was the first free flyer of awesomeflyer.com This package includes a high res 300dpi RGB and a print ready CMYK file! 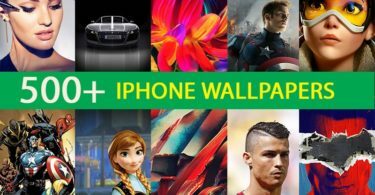 The psd files are fully layered and easy to customize, as usual! nice stuff they have! 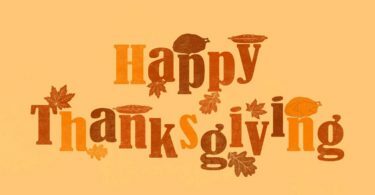 thanks for post!